So here’s a crazy fact: According to WWD, Rent the Runway will loan out the retail equivalent of $1.35 billion worth of womenswear in 2015. The formerly gowns-only company, which as of October 2014 was still not turning a profit, has decided to expand its wares to include sportswear from designers like Derek Lam and Opening Ceremony. They’re also staffing up: Alexis Bryan Morgan, who was laid off from Lucky Magazine last month, is now RTR’s director of designer relations and special projects; Sarah Tam of Saks Fifth Avenue is senior vice president, merchandising and planning. Rent the Runway’s brick-and-mortar locations, more of which will be opening soon, aren’t actual stores but rather appointment-only showrooms (appointments cost $25 to book). An Elizabeth & James sheath rents for $60, a Herve Leger cocktail dress rents for around $175, a Vivienne Westwood for $275. 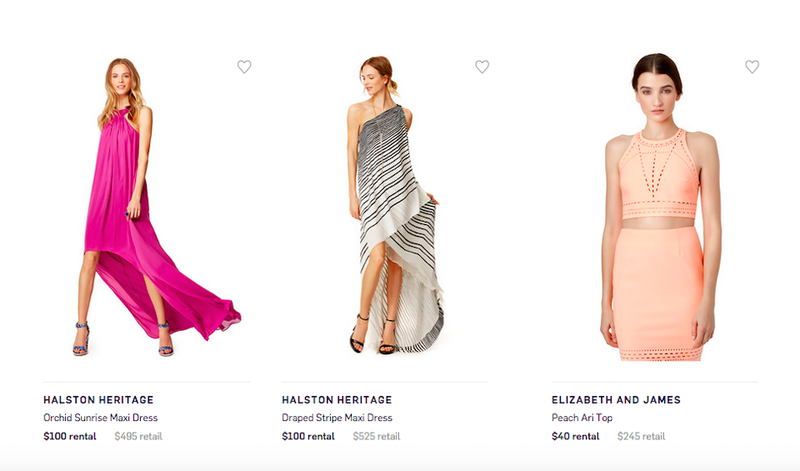 An unlimited rental program allows customers to order any three items per shipment at $99 per month, although certain designers are not included, and according to WWD, there would be a surcharge for, say, a $5,000 dress. Rent the Runway is working hard to cement its status in the next phase of the sharing economy, to communicate to consumers that clothes don’t need to be owned to make their impact. The idea is a good one—why should a person shell out thousands for a dress that will only be worn once? Why shouldn’t civilians have access to the rotating closets celebrities have always enjoyed? In practice, however, when it comes to sportswear, it seems like a hell of a lot of money you’re spending on nothing. $50 to rent an Equipment blouse? With a little search effort, you can own something that looks just as good for around that much—even if you work somewhere snooty, even if you’re meeting your mother-in-law, even if you have to be on camera. The problem, and it is not by any means limited to Rent the Runway, is that we are told we have to put certain designers on our bodies in order to feel polished. The company’s target “Smart Entrepreneurial Women,” or SEWs, as Hyman dubs them, might steer clear of this racket.